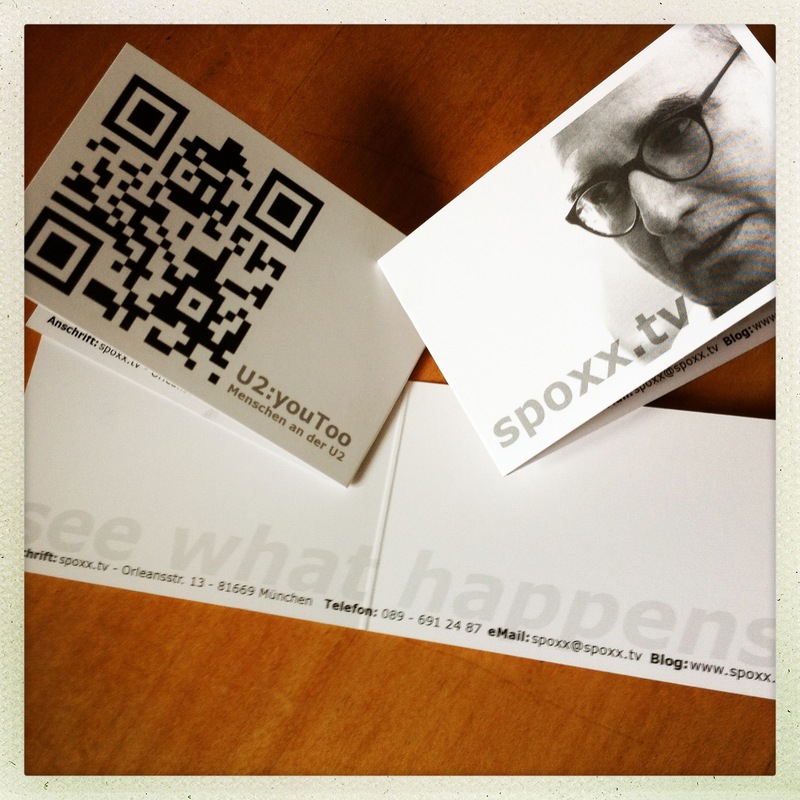 Cruising the U2 subway of Munich, and the surrounding quarters with my camera, I hand out this new calling card to my interview partners. Dieser Eintrag wurde veröffentlicht in U2:youToo. Fügen Sie den permalink zu Ihren Favoriten hinzu. Thanks! – We’ll make similar ones for #wisdomtraveler! John T. Trigonis: What's in my manvelope? fna films: What's gannin on? Stefan Wabner: Kunst und so.